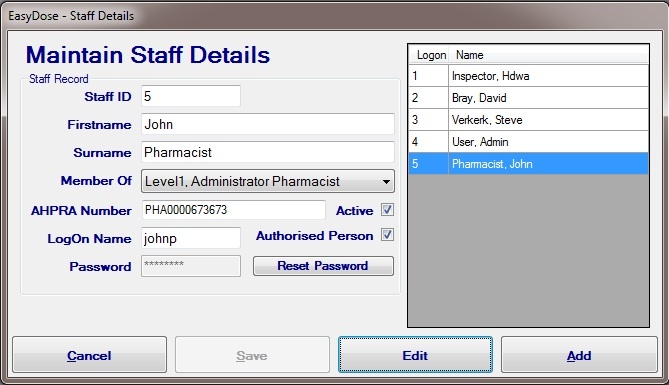 An authorised officer who uses the individual pharmacies EasyDose system must add themselves as a User. 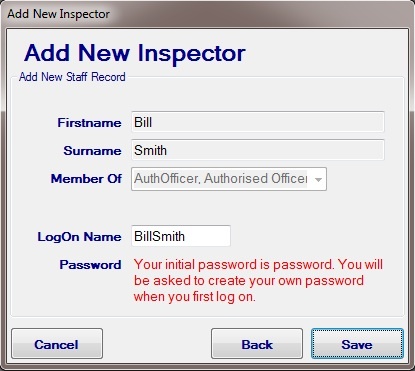 Existing HDWA Inspectors MUST log on with their previously selected User Name and Password. 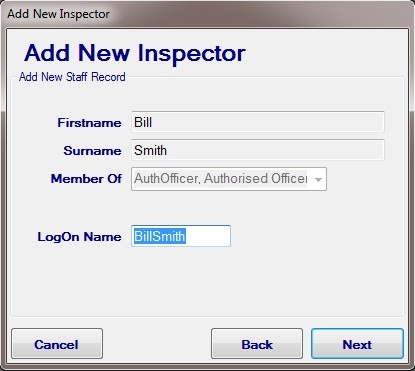 Select Inspector HDWA from the drop down list and logon using the designated password for Inspector HDWA. Known only to the local Health Department or EasyDose Pty Ltd.
Clicking OK will automatically trigger the Add Inspector wizard which must be completed in its entirety. Enter full name and click next. The LogOn Name is pre-populated but can be changed. Note: once created, the LogOn name cannot be changed. Click Next and the following form will show confirming the creation of the user account and the setting of the default password. 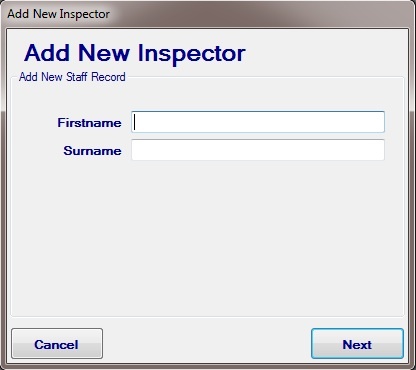 The system will exit requiring the Inspector to logon using the credentials above. They will be prompted to change their password. The newly added Inspector is set automatically to Active. NOTE: A Level 1 Administrator can also add an authorised officer from the Maintain Staff Details Form.